A Career Plan provides you detailed GPS directions to get from where you are now to a sweet spot successfully achieving your goals and avoiding the impacts of skills obsolescence and job loss. You create a plan and update it annually to get from where you are today to where you want to be in three and five years. Just like any business you need a plan to clearly lay out who you are, what you wish to achieve over time and how you will grow your skills and education. The plan helps you identify where your opportunities are, what threats to anticipate, and how you will market yourself to prospective employers. Consider the components of a traditional business plan prepared by most businesses and your Plan. Financial Projections Have I identified my career goals? Resources Required What Education and Skills do I Need? Competitive Analysis How do I differentiate myself? Product or Service What value can I provide? Change Strategy Can I adapt to market changes? Marketing Strategy How do I publicize my capabilities? Sales Strategy How do I get the jobs I want? The rate of technological change is accelerating dramatically causing many organizations to downsize and others to grow dramatically. Employees need to adapt to these changes. Are you adding skills and achievements to your resume annually? If the answer is NO you may be headed towards obsolescence. Your resume outlines your value to prospective employers. Consider what you would like your resume to contain three and five years in the future. Annually review what you have added to your resume. The remainder of the article expands on the component parts of the Career Plan. GOALS; Perhaps the hardest question you need to address as part of your Career Plan is what are your career goals for the next three and five years? The goals need to be realistic and attainable. A great way to develop goals is to look around you at people whose careers you admire. They may be people you have worked with/for or people in your network. Seek their advice on how to get to where they are. SKILLS; Review your existing skills and education. Will they still be current in three to five years? If you have concerns, identify gaps and create a plan to acquire what you need. This plan might require additional education, changing jobs or employers and even making a career change. OPPORTUNITIES; Have you reviewed the future job opportunities in your career field? Are you in an industry or career that is threatened by change? I once worked in a labor-intensive industry and it was apparent that the work was likely to be out-sourced to lower labor-cost countries. This threat forced me to examine other industries where there were greater opportunities for me to achieve my goals. DIFFERENTIATION; The Career Plan calls for an objective critique of your value to an organization and how you market yourself. Have you a solid list of work achievements? Are your education and skills in demand by prospective employers? In a competitive job-market you need to be able to differentiate yourself from your competition. Differentiation can result from a successful work record, proven value-added results in your career, unique education and/or skills and an effective network to broadcast you to your target markets. NETWORKING; It’s a cliché today that over 75% of jobs are filled through effective networking. But it’s true. Applying for jobs online is like buying a Lotto ticket. You are in the game, but the odds of success are low. A network can be much more than a job-search aide. Developing and maintaining a network of people who have backgrounds in your career or industry should be a key source of advice regarding your future direction. As you prepare your Career Plan, it’s a great time to refresh your network by re-introducing yourself and seeking career counsel. Face-to-face contact is highly recommended although LinkedIn is a valuable tool to identify and keep in touch with network members. A mentor is someone who know you well and can offer constructive criticisms of your preferred career direction. Treasure mentors. VALUE-ADD; Do you know your value? Can you quantify benefits you have provided to your current or former employers? This is a key part of differentiating yourself from the competition. If your list is short, consider how you might close the gap. Seek out opportunities with your current employer to achieve value-added successes. MARKET CHANGE; The average working career spans forty years. Consider that thirty years ago there was no internet, social media or digital apps development industries. Imagine if your skills were based on landline telephones, mainframe computer coding or middle management people supervision. You likely have experienced the impact of technological change already. The annual Career Plan forces you to review the threats and opportunities arising from technological and market changes. Your network can be a huge source of constructive advice in this area. MARKETING; In today’s competitive job market, you need to publicize yourself. Your tools are your resume and your network. Your resume tells prospective employers that you have the skills and will add value. Finally, your network will identify potential employers and assist in getting you to the interview stage. Other ways to publicize yourself are by introducing yourself at seminars and conferences, attending networking events and using social media judiciously. SALES; As part of your Career Plan, you may identify specific employers or jobs that you would like to get in the future. How to do it? The Career Plan helps you formulate your career goals; identify jobs and industries; highlight how to close gaps in your work skills and education, and list tools such as your resume and network. These items all help you focus on closing the “sale”. You know where you want to go, have the tools to get there and a plan to guide you. You are way ahead of the competition. THE PLAN; If you annually prepare an update to your Career Plan and seek out advice from your network, and particularly your mentors, you will have a clear roadmap that will provide you direction to achieve your goals. A plan assessment form has been provided below for your annual review. How Are you doing? The self-assessment is designed to guide you to develop your Career Plan. Scoring is from 0 to 10, with 0 being an absolute No, and 10 being a fully researched Yes. All other responses can be scored between 0 and 10. On scores between 5 and 8 – you are on the right track. Develop a plan for what it will take to move your scores to 8 or greater. For scores of 8 or more congratulations. You are well on your way to finding a satisfying and happy career path. 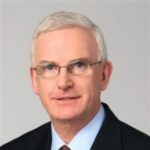 Gerry O’Connor is a Founder and Principal with Brentwood Advisory Group specializing in interim C-Suite leadership support for middle market businesses. Previously he has been a senior executive with three major energy firms in the Midwest. Gerry has been actively engaged in career counseling for over ten years with an emphasis on career selection and planning. He was a career counselor and Treasurer of the Community Career Center located in Naperville IL. Previous Saving For Retirement? Not These Millennials.